Generative models learn data relationships that enable predictions in unexplored spaces, and provides guidance on how to deploy machine learning. Joint work between JCAP and DOE EERE HydroGen programs yielded a publication detailing performance of PEC cells for solar water splitting. JCAP Researchers Joel Ager and Yanwei Lam discover copper has potential as a catalyst for turning CO2 into sustainable chemicals and fuels. Francesca M. Toma included in Royal Society of Chemistry's "100 Women of Materials Science" - a collection of high quality research papers. Combining high throughput experimentation with theory enabled discovery of a unique solar fuels photoanode with remarkable stability. Vapor-fed reactors represent new paradigms for unprecedented control of local reaction conditions for CO2 reduction. Embedding methods for electronic structure can provide accurate description of chemical reactions at a reduced computational cost. Adam Weber is named Electrochemical Society’s Fellow for his scientific achievements, leadership, and service to the society. ACS Editor’s Choice® article describes the describes a new method for rapid construction of phase diagrams by combining AI with combinatorial X-ray data. A look inside the labs at the Joint Center for Artificial Photosynthesis reveals the inventions and processes that yield groundbreaking discoveries in solar fuel. The work was published in PNAS. Macroscopic photoelectrochemical measurements and nanoscale atomic force microscopy techniques provide foundational knowledge of interface engineering. 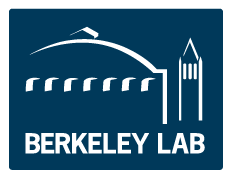 Frances Houle, JCAP’s Deputy Director at LBNL, was elected to serve of the Board of Directors for the Materials Research Society. An international team of researchers and JCAP scientists developed 19% efficient solar-fuels generator. Researchers figured out a more efficient way to make carbon-based fuels from CO2 - a step toward making renewable liquid fuel. Learn more about JCAP talks at conferences and meetings, publications, research highlights, and Databases.